This may be like my 5th post about this topic. I’m not sure why the thought of skill challenges reared its ugly head yet again as I was sitting at work, but I thought of something that hadn’t occurred to me. While the DMG urges you to lay out the challenge to your players (as if they couldn’t figure out they were in one after you asking for the third roll), what if instead, you don’t tell your players what skills are necessary at all in the challenge? Now here I wouldn’t even tell them what’s next. I may even not have anything planned on how the heck they are supposed to cross this river at all. All I know is what happens if they fail or if they succeed. The stuff in between? Let them figure it out, they’re the players. At this point I’m forcing them to have to come up with the solution, rather than me giving them hints through Primary Skills being identified. I’m making even the guy who may not have the adequate skills for this challenge throw something out there because I gave them zero guidance whatsoever. So now they start throwing ideas out there, and are forcing me to react to them. The stress is on me to quickly react to whatever plan or way of getting to their success they’ve come up with. I decide then if what they are doing is feasible or not, and if that skill use counts towards a success. “Can I use my knowledge to see what I know about lava?” Rolls a 15. “It burns.” Not quite a success, that’s a stupid waste of time even if he had rolled a 45, but not a failure either. It wasn’t a crucial skill check for the challenge. DM’s judgement plays a roll here. “Can I use my dungeoneering skill to try and find some natural material within the caves that’ll float and not burn?” Then another guy chimes in… “What do I know about his place, how did the crown get here in the first place. How did they cross the river the first time?” Okay, Dungeoneering and History. Make your checks and yes, good ideas. Now I better react and come up with something (of course, you’d anticipate these types of questions and suggestions). This is just an idea I though of that I may try out the next time I game. Letting the player dictate what they think will work or not in the challenge and me as DM reacting to it. I don’t have the script, rather they create it on the fly. Remember, most published skill challenges will have something like this: Nature (DC 15) – A PC will use his nature skill to find and forage enough food and water…. I want to eliminate that pre generated skill use script by instead having the PC come up with what the skill does, and me decide if that’s a good idea. Here’s an idea, if you were a player and a DM presented this example situation to you, how would you react to it, what would you propose? I want to see how a group of players would handle a similar skill challenge situation without being told what skills are relevant, or how many successes they need. I’d also like to know how you feel about skill challenges more than one year after the launch of 4e. Do you use them much? i totally agree, i like the zero guidance style, sometimes if my players are really lost i’ll ask for an intelligence or wisdom check (depending on the circumstance) for a small hint. Great article overall! I thought about using both ways, state to your players what skills are Primary Skills but announce that nothing stopping anyone from getting creative with their skills. Surprise me. I will agree with you I would love to hear actual play (Podcast) of different skill challenges. 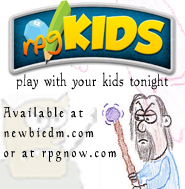 Great Role-playing opportunities. Absolutely the way to run them. That’s the way we do it – I just say “The orcs hesitate, as if they’re unwilling to attack. 5 successes before 3 fails. What do you do?” and leave up to the players to work out what to do. I don’t plan anything re:appropriate skills or whatever – that’s not the LazyGM way. This turns Skill Challenges from being more of a fun brainstorming/role-playing session rather than an exercise in “guess what the GM is thinking” frustration. I think the best way is the zero guidance way or totally improvised way. I’ve used both and for some reason the improvised ones come out looking more polished then the planned ones. We’ve avoided skill-challenges in our group mostly because of this uncertainty in how to run them. I personally feel that spelling out a skill challenge – heck, even acknowledging that one has begun – breaks immersion and turns what would be a cool RP event with some skill rolls into a mini-game. The prewritten scripts don’t help that feeling at all. Are the players supposed to be calling out skills to find out what you have written down, or should they be brainstorming creative uses of their skills that will probably break the script? And if you eschew the script and don’t call out that a skill challenge is on, doesn’t it essentially cease to be one, and instead become the aforementioned RP event with skill rolls? I don’t have a problem with them in theory, it’s just that I can’t wrap my head around them in a way that makes running them not seem very lame. Every trick I can think of to make them better also eliminates a reason for using them, until you’ve reached a point where skill challenges are completely fixed because they no longer technically exist. I feel like I’m just not getting it, and that frustrates me as a GM. Anyone else have trouble with players who don’t remember to use their skills? I love running skill challenges – I throw 4 or 5 at my players every adventure. I tend not to tell my players which skills to use in order to get them to generate ideas and I’ve found that they can be incredibly resourceful. I reward awesome ideas with successes without requiring a roll. However with more complex skill challenges I’m happy to help the players out with hints. There is nothing worse than watching players flounder because they don’t know what to do. Skill Challenges are more difficult than combat because the variety of options available to players are much greater. The odd prompt can save a lot of problems. I also think its important when designing a skill challenge to make sure that the consequences of failure in the challenge are more exciting than success. That way if the party fail they still move forward. I have tried both ways and the free form, no guidance method was much better received. I am still having problems implementing SC’s in my game though, and also am looking forward to a day when WoTC might publish some example skill challenge podcasts. Skill challenges are so frustrating. 4e took simple challenge to the players either it being climbing a cliff or bribing a guard and made it way too complicated and drawn out. I have always thought of the whole dungeon as the skill challenge not a specific encounter. When I run games I do my best to stealth the skill challenge but the players I game with are so mechanics orientated that the moment the game pauses from “combat” and I ask for a dice roll they all start saying oh a skill challenge what do we need… Very frustrating for me as the DM. I have only been able to sneak a skill challenge in a couple times where the party made a plan and executed without anyone saying “oh a skill challenge” I did it by stretching it throughout the dungeon. I’m a big fan of skill challenges, and use them frequently — but they’re tricky and do require a different type of creativity from the DM. IMO, it does not make sense to set hard-and-fast rules for yourself about how best to run a challenge — each challenge, and each playing group, has it’s own needs. Some groups need more structure, others don’t. And as your group gains experience, they will need less and less structure. If you read the articles Mike Mearls has been writing about skill challenges in DDI, you’ll see a very flexible attitude about the structure of skill challenges, and he takes them off in a very different direction from the simple, basic system created in the DMG. Reading those articles has really helped me understand that skill challenges should really be understood and used in a flexible way. So, your direct question here — do you tell your PCs what skills they can use — IMO that depends upon the situation. In the case of a cliff to climb, athletics is obvious. You probably don’t need to tell them that. In most skill challenges I’ve seen, though — and just about everything that I’ve read about skill challenges, there’s a lot of encouragement to allow the PCs to come up with new ideas to use non-primary skills — which is exactly what you’re talking about. On page 75 of the DMG, the section “reward clever ideas” discusses the sort of mechanic you’re suggesting. In the couple of years I’ve been Dming I’ve used skill challenges in almost every session, and in lots of different ways. In most cases, I bend and twist the basic concept dramatically to help me represent the situation. I like them a lot . . . I let my players do whatever skills they want to do, but they have to explain how they’re using it. If a player gives a really great reason why using an “Athletics” skill will help persuade the queen, I’ll give it to them. I sometimes even give two successes if their explanation is just that awesome. I never liked the idea of “X successes before 3 failures” because it unnecessarily draws things out. Usually, I have a flexible limit on the number of successes. If they had good ideas and are rolling well, I just end it at the appropriate place. It’s more immersive that way. Hey guys. I knew this would hit a nerve, because in my opinion this is the part of DMing that is of most confusion to 4e dm’s out there, obviously me included. Thank you for providing your thoughts on this. @xerosided: if I were you, I’d give them a shot. I think the way you do, but have been struggling to get it right… I feel this thread will lead me in a right direction. I love skill challenges, use them all the time. In my opinion, the best approach is to treat challenges just like you treat combat encounters. As in, you do it any and every which way. Sometimes the PCs see a combat coming from a mile away, sometimes they don’t know they are in one (spirits sapping them from the Ethereal plane), sometimes they hear bad guys through the door, sometimes monsters pop up out of nowhere, sometimes you are on the side of cliff or flying, etc. The same should hold true for challenges. Sometimes you tell them they are in one, sometimes you don’t. Sometimes you lay out some skills (the DMG encourages creative thinking on the part of the players and the DM saying yes to skills he didn’t envision would really fit with the challenge if the player makes a decent case), sometimes you don’t. Sometimes you lay a challenge over a combat, or vice versa. Sometimes the solution is obvious but difficult, sometimes its obscured. Sometimes you have challenges within challenges within challenges. The point is to be creative and tailor the challenge framework to fit the needs of the situation you are envisioning or the PCs find themselves in. NewbieDM, the guys over at At-Will (http://at-will.omnivangelist.net/) have some of the best articles on skill challenges and what you can do with them I’ve seen. Definitely worth checking out. NewbieDM, I think you are on the right track for running successful skill challenges. Let the players tell you what they want to do. Decide what skill would be appropriate. Then have them roll a D20 and decide if it beat the challenge DC or not. Simple. I’ve made some tweaks to how I run my skill challenges up on my blog. One thing I recommend for anyone running them is decide what skills would be appropriate and give a bonus for using them. Don’t tell the players what skills would be needed, and let them come up with ideas to overcome the challenge. Quick example, players see the open crypt before them and a stone door crashes down, sealing off the entrance. Skill challenge objective: bypass the door at a DC 15 (tough challenge). I figure dungeoneering and athletics might be a good stab at opening the door, so I would give the players a +1 or +2 bonus using those skills, but I never tell them they get a bonus for using those skills (nor tell them they would be useful in opening the door). Then I let the players figure it out. In the above example, if a player wanted to use an arcana check to determine if the door had a magical trigger, I’d let him. Even if I figure the door is mechanically operated, knowing that information that there is definitively no magical operation of the door would be helpful in finding another solution. Letting the players pitch their ideas on their actions is the best way to run skill challenges. I use skill challenges as a framework to reward players for good problem solving. I usually tell them something like “this si a skill challenge, I’ll need 6 successes before 3 failures, etc etc” but Commons sense rules the day; if someone comes up with something that might “solve” the skill challenge with a success use of a skill, make them roll more than once (for multiple successes) for a single use of a skill. For example “I climb the wall!” might be one or several Althletics checks. Similarily, if someone uses a knowledge skill, it might take multiple rolls to “figure it out” while they recall the important facts to solve the riddle or whatever. it’s too bad skill challenges have such a bad rap in some circles, becuase of all the things 4E brings to the table it really is one of the better features: it creates a framework to quantitate/reward good roleplaying and creative thinking. Thanks for the article. Both it and the comments have good thoughts. them or trip them up. could be used by the spectating PCs. of it, and I might try it sometime (I’ll be sure to record it, if I do). making sure that defeat is more exciting that victory in the challenge. tallied) whether they were victorious in the skill challenge. Great topic, with large shares of the readers! We are still clumsy with SC at our table, sometimes I present the free style for PCs and other I think is more interesting explain a little more about the skills. Keep up the good articles on this topic, be sure that helps a lot!